When it comes to skincare, there is never a shortage of solutions for a myriad of conditions. From lotions to creams to cleansers to serums, it can feel like the options are nearly endless. While this might seem overwhelming if you’re new to age-defying skin care routines, the good news is that understanding the top five active ingredients in a quality product can save you both time and money. Purchasing skin care products that contain these ingredients will help you prevent wrinkles, reduce fine lines and decrease dark spots, too. What’s more, these active ingredients are easy to recognise once you know their names and their beneficial properties. You might have heard of retinol. But what exactly does it do? Retinol is derived from vitamin-A and is lauded for its ability to treat fine lines and wrinkles. What’s more, retinol is also praised for its ability to decrease skin sagging and sun spots. Retinol works by accelerating the skin replenishment process. It washes off dead cells that can leave skin looking dull. In addition, retinol increases collagen and elastin by initiating the deepest level of cellular repair capable in the body. Choosing anti aging skin care products with retinol ensures that you’re using a product that will encourage healthy, youthful skin. Note that when it comes to using retinol in your skincare, you need to introduce it slowly, because it’s one of the most powerful active ingredients in skincare and can irritate your skin if you don’t know how to use it. The best way is to start by applying it to your skin once a week, then twice, and so on until your skin is used to absorbing it once a day. 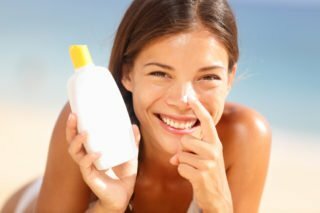 Another top ingredient to look for when you choose an age defying product is a good-quality sunscreen. This is because sunscreen keeps your skin from aging prematurely, as the sun and its harmful effects are probably the biggest culprit when it comes to ageing skin. It also helps prevent skin sagging and blotchiness. UV rays diminish the collagen in your skin, which means that sunscreen is important to keep your elastin fibres replenished. Most dermatologists agree that products that contain sunscreen are critical for any truly invigorating age-defying skincare routine. Sunscreen contains what are known as UV filters. These either absorb or spread UV light, which is important when it comes to protecting your skin. When searching for quality skin care products, look for those containing a broad spectrum sunscreen with an SPF of at least 30. You might want to keep your eyes peeled for one that also has antioxidants, since these will boost the effectiveness of the sunscreen. Layer your skin with a generous amount of sunscreen, or sunscreen containing product to ensure the highest level of protection. Many people have never heard of hydroquinone, yet it stands out as one of the top ingredients in many reputable skin care lines. Hydroquinone helps to even out blotchy or mottled skin. It also works to help diminish sun spots, an often tell-tale sign of ageing. Many people choose hydroquinone because it’s an effective skin-bleaching skin. Those with hyperpigmentation benefit from its use because it blocks melanin-producing enzymes and aids in fading hyperpigmentation. Using hydroquinone is simple. Just dab some on problem dark spots that you might have on your skin and combine it with other lighteners if you need them. Lotions with hydroquinone will help protect your skin and give it a fresh, youthful glow. Alpha-hydroxy acids are common in many quality beauty products, working synergistically to help smooth fine lines and wrinkles. 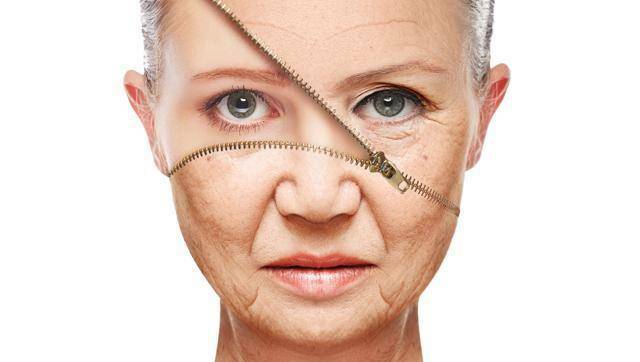 Many people like skin peels that contain alpha-hydroxy acid because they break the connection between dead and living skin cells. Alpha-hydroxy acids, such as glycolic acid, also aid in fading blotches and boost the effectiveness of other anti aging products that might be in your regimen. Using AHA products twice a week is usually enough for most people. No skin care product would be complete without a generous dose of antioxidants. Antioxidants provide a combination of excellent skin refreshers such as vitamin C, coffee berry and green tea. Research has shown that antioxidants are effective against sun spots, wrinkles and even skin cancer. Yes! Antioxidants protect your body’s cells from damage that would otherwise result from sun exposure and aging. They also halt the effects of harmful free radicals and turn them into safe compounds. They are even known to stimulate collagen and stimulate cell repair. If you need a powerful serum that will provide you with a healthy amount of antioxidants, opt for one that will effectively slough away dead skin and cleansing pores for a fresh, vibrant glow. Using a brightening polish or serum with antioxidants can also diminish hyperpigmentation while protecting your skin from free radical damage. So, there you have it! Now that you know a bit more about these powerful, beneficial active ingredients, you can look for great anti-ageing products that’ll improve your skin’s natural glow and texture. Be sure to read reviews and consult a dermatologist if you’re considering a premium skincare product featuring one or more of these ingredients. Constante Quirino is a health and lifestyle writer. As an advocate for clean, healthy and balanced lifestyles, he writes about developments in health and wellness, along with natural skincare and beauty products.